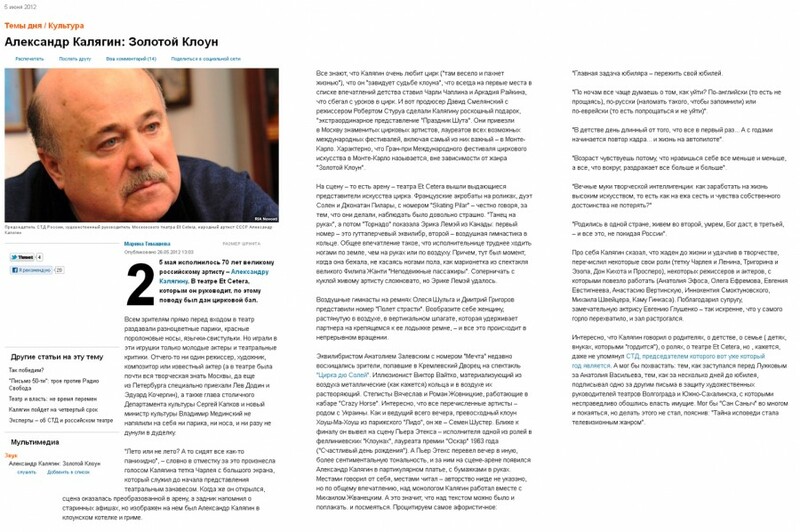 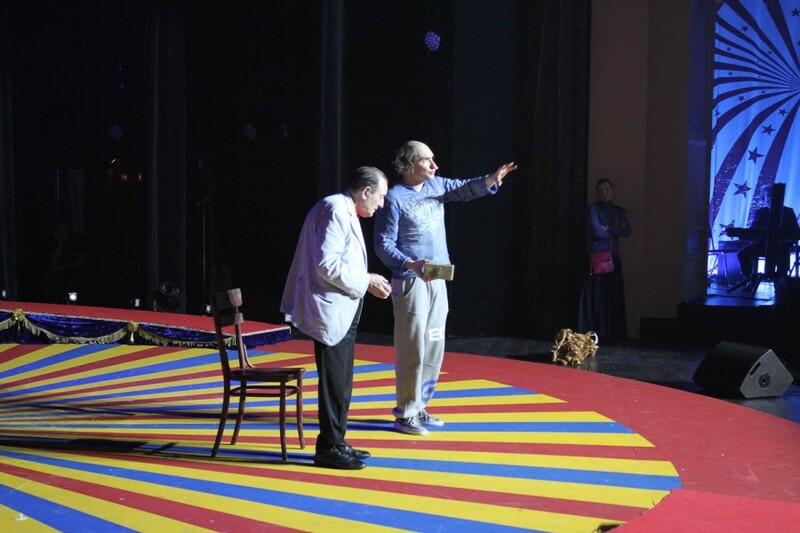 The Festival took place from September 11th till September 16th, 2012 in Almaty. 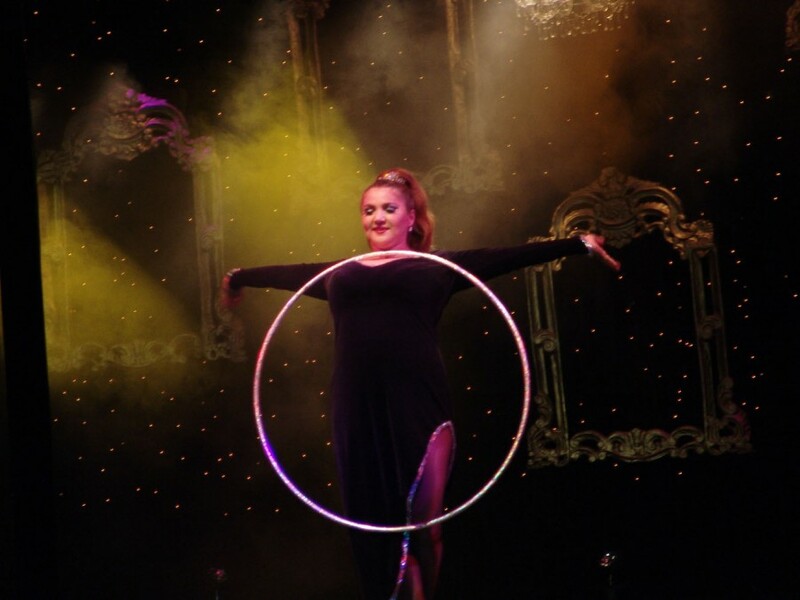 The festival gathered a lot of outstanding circus acts. 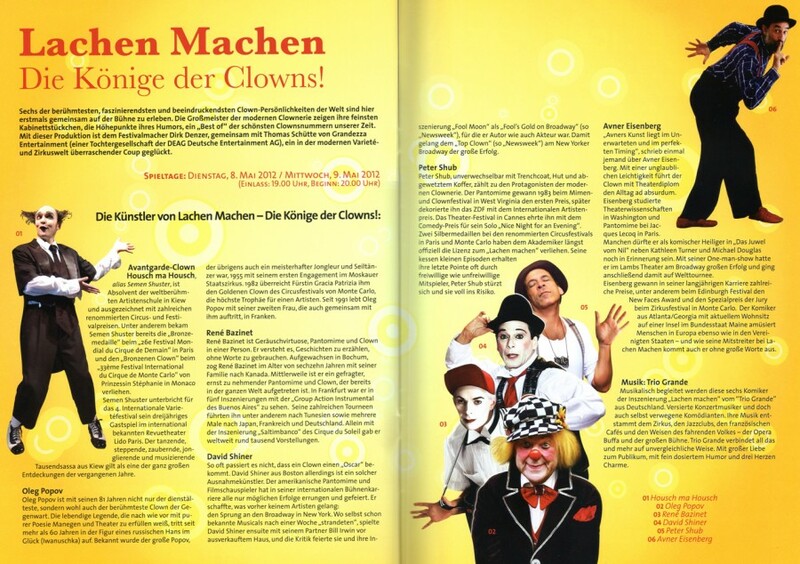 “Housch-ma-Housch Production GmbH” has represented Peter Shub and Viktoria Lapidus at this Festival. 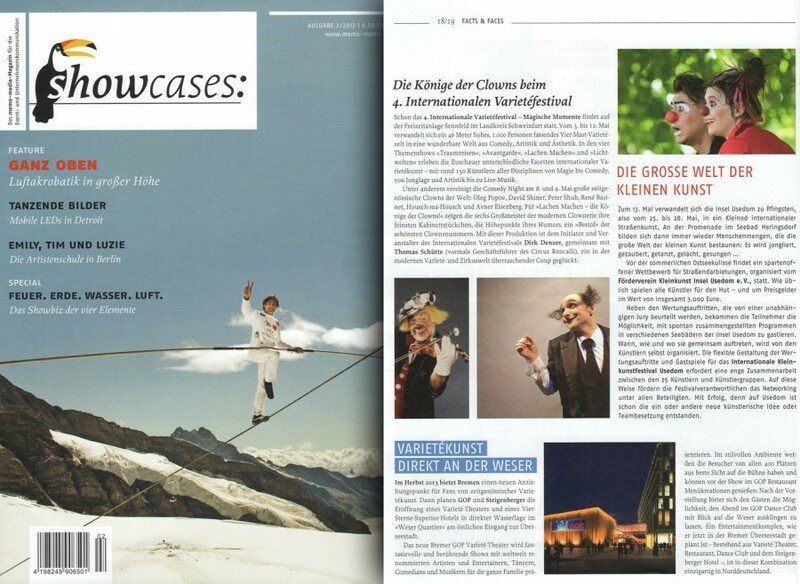 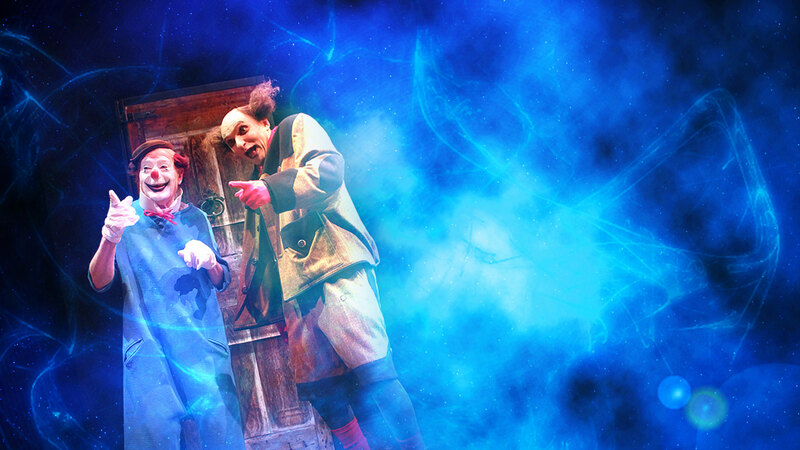 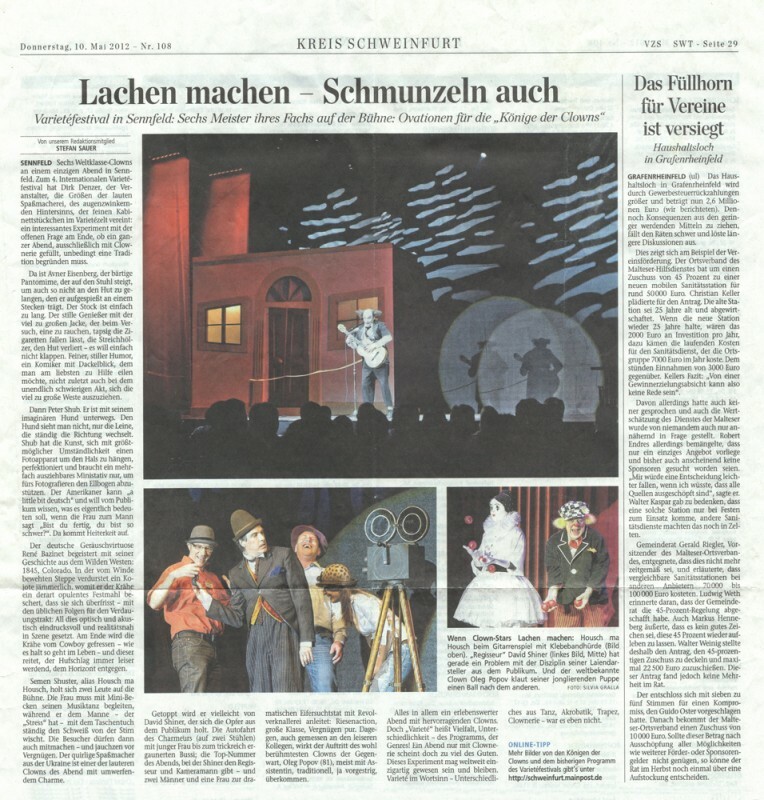 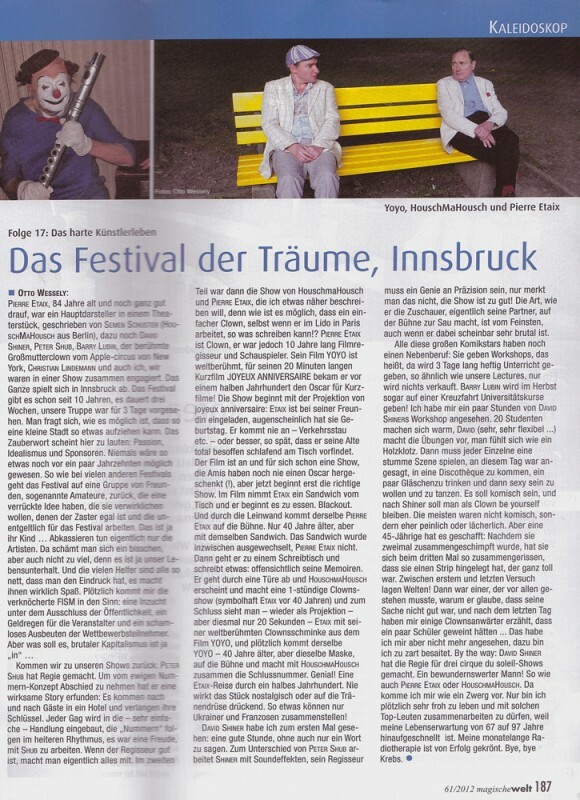 “Housch-ma-Housch” is also featured in the “Festival of Dreams” from August 12 to 14, 2012 in Innsbruck. 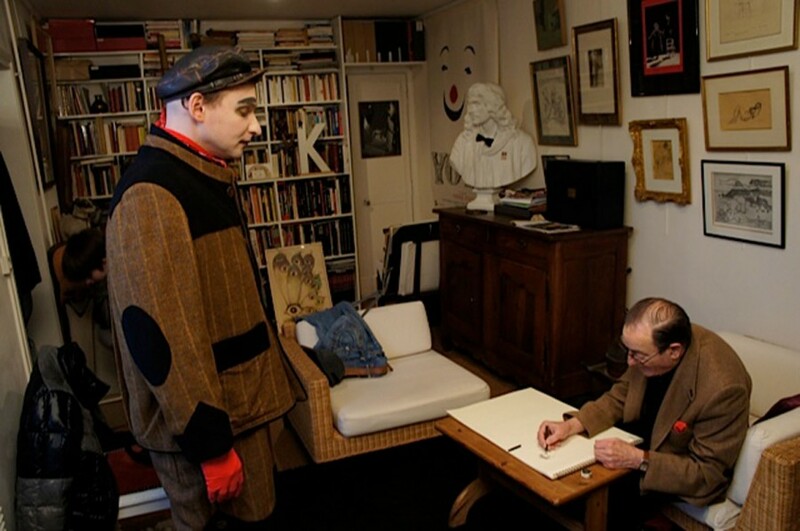 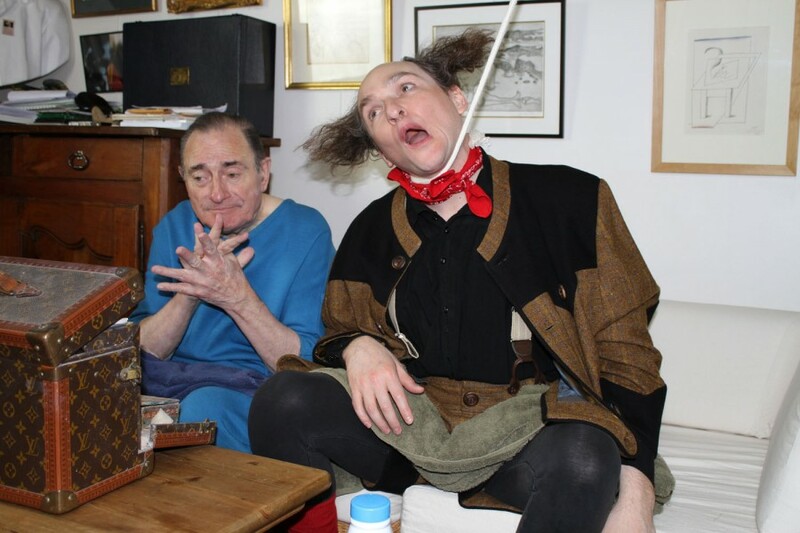 Together with movie legend and “Academy Award” winner Pierre Étaix and comedy star Otto Wesseley from the “Crazy Horse” in Paris, “Housch-ma-Housch” will present a newly created, fascinating show which promises to obtain absolute cult status. 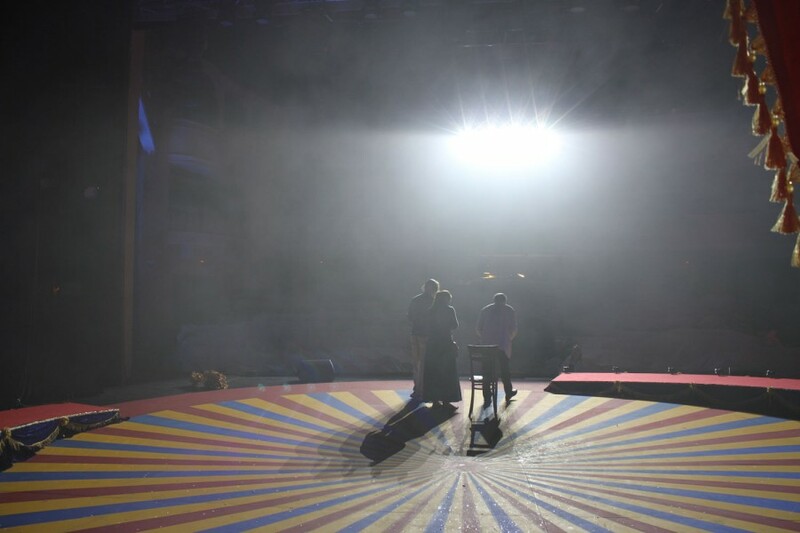 The show enchants its audience with spectacular projections, impressive artistic staging, dreamlike time trips and a historically important movie show by Pierre Étaix. 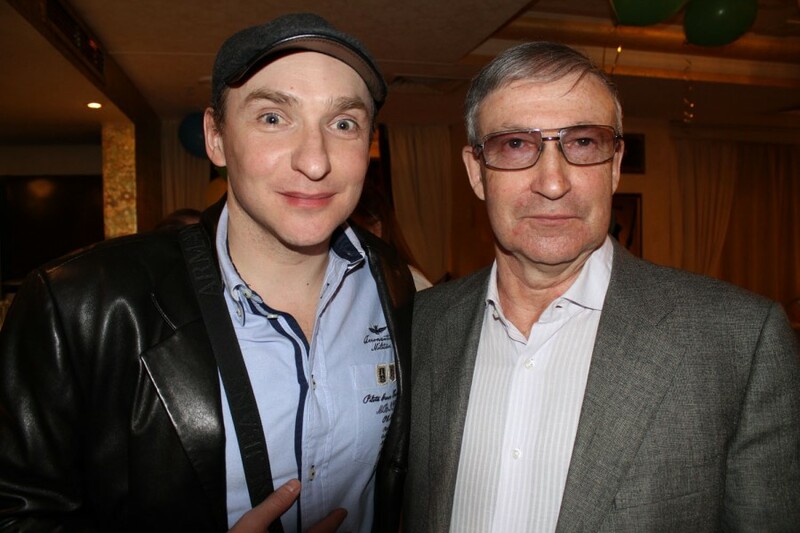 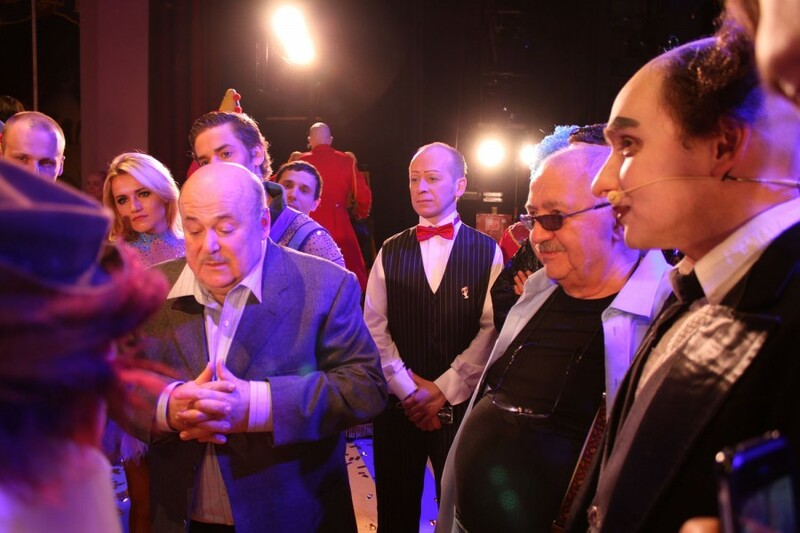 On the 25th of May 2012 in Moscow took place a spectacle dedicated to the 70th anniversary of the “People’s Artist of Russia” Alexander Kalyagin which united the masters of the world arena. 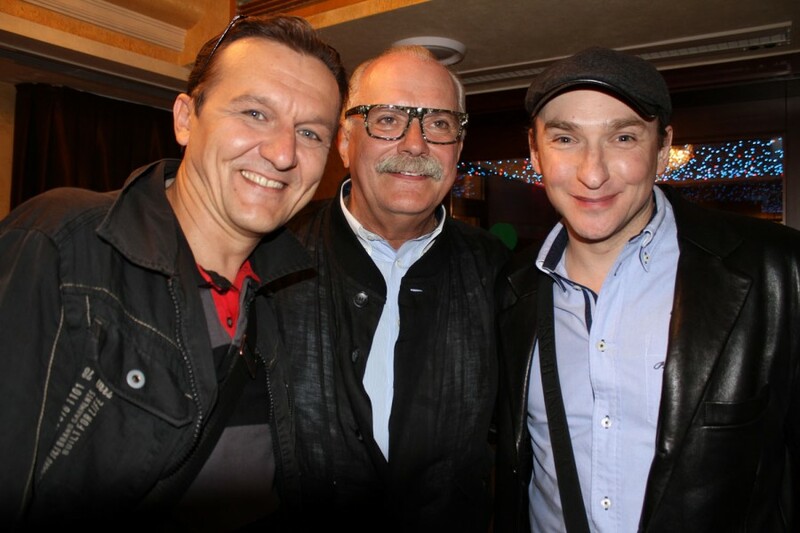 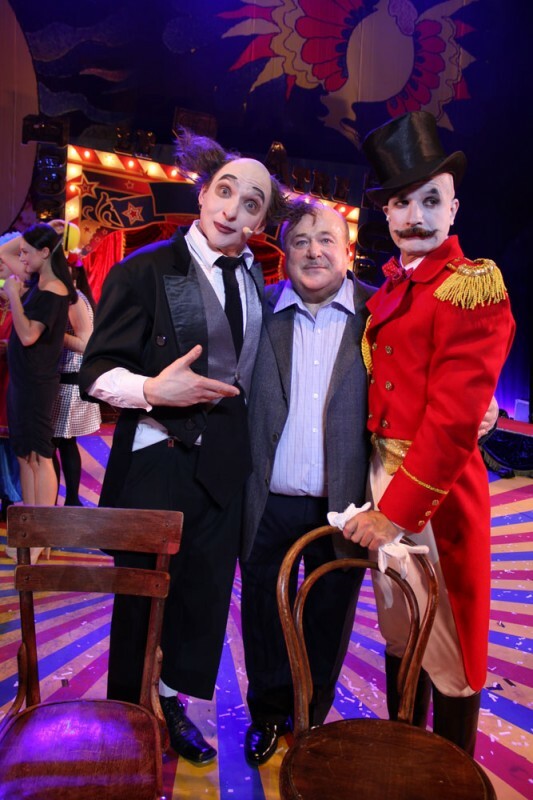 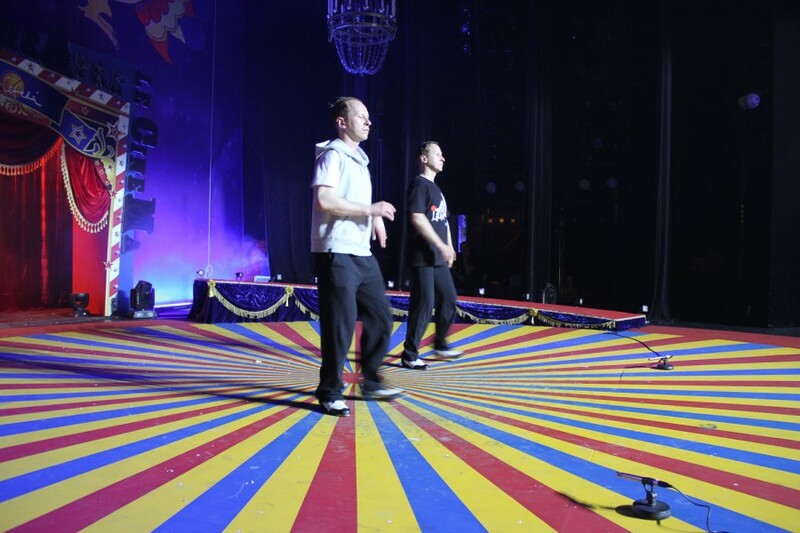 Our agency has represented such great artists as “Academy Award” winner Pierre Etaix, Anatoliy Zalewsky (“Gold Medals” of the circus festivals of Monte-Carlo and “Cirque de Damian” in Paris), Viktor Voitko (Second Place Winner “FISM”, 1994), Duo “Flight of Passion” (“Gold Medal” of the circus festival of Monte-Carlo), Roman and Vyacheslav Zhovnitskiye (“Crazy Horse”, Paris). 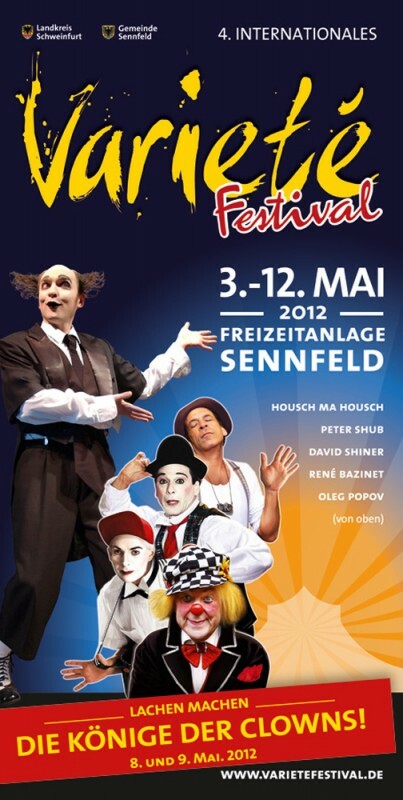 Entertainment center of Zenfeld in the district of Schweinfurt will host the “4th International Varieté Festival” from May 3 to 12, 2012. 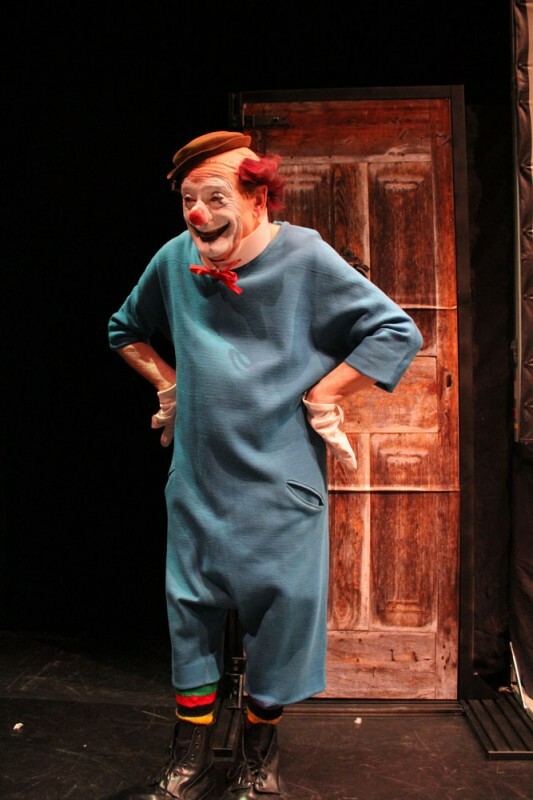 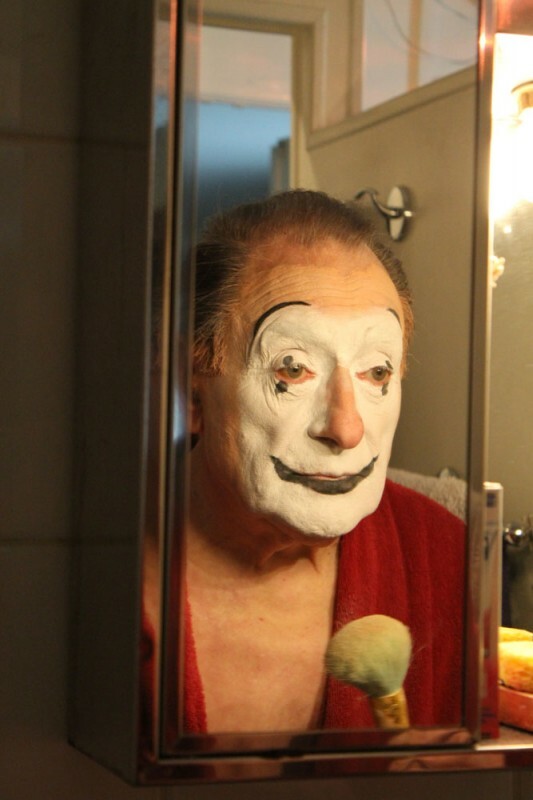 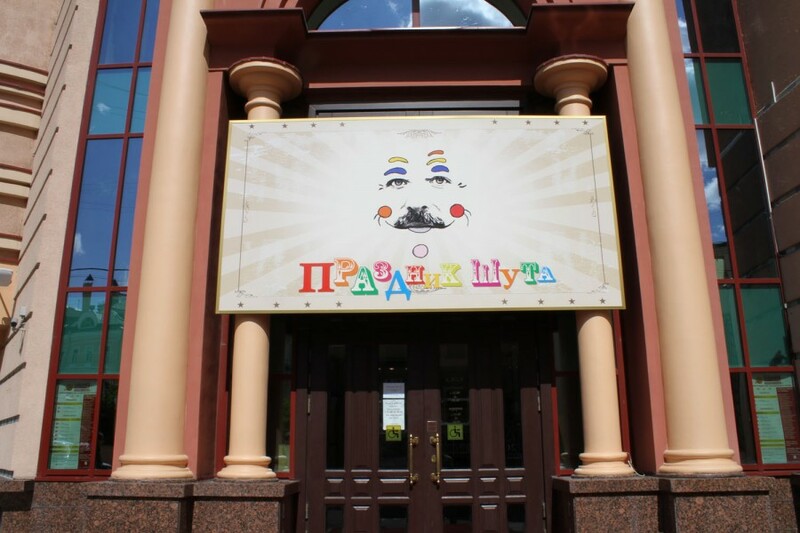 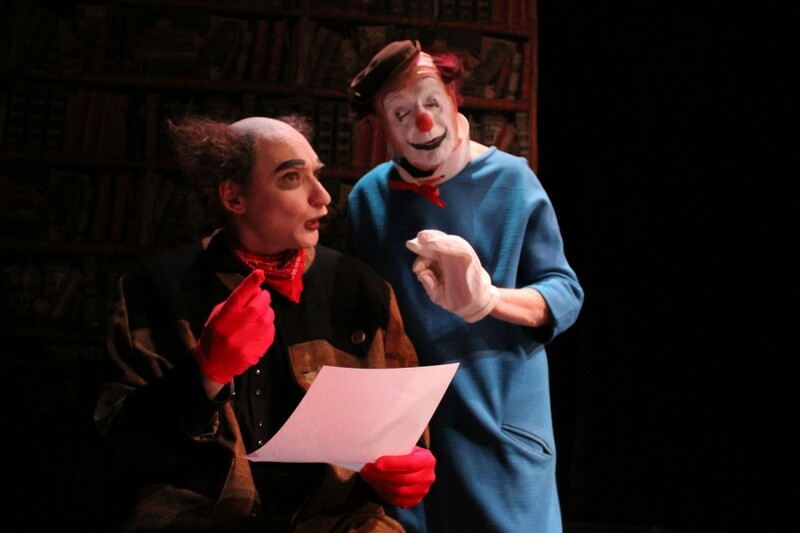 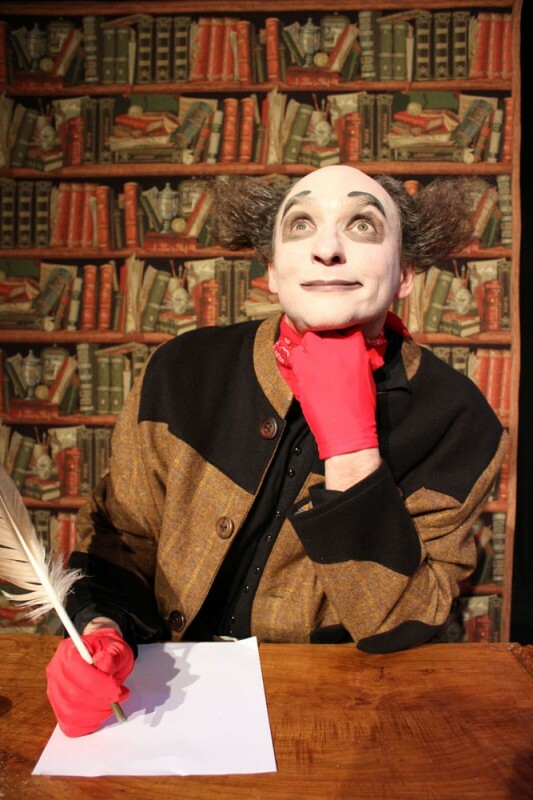 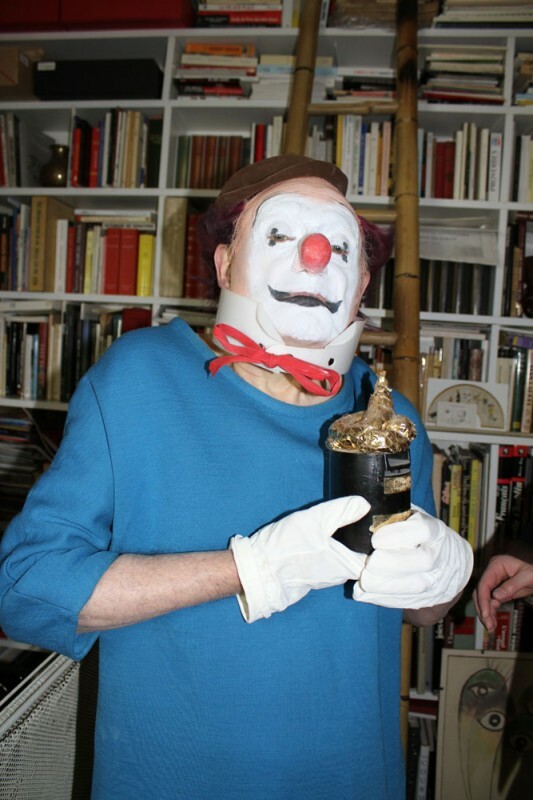 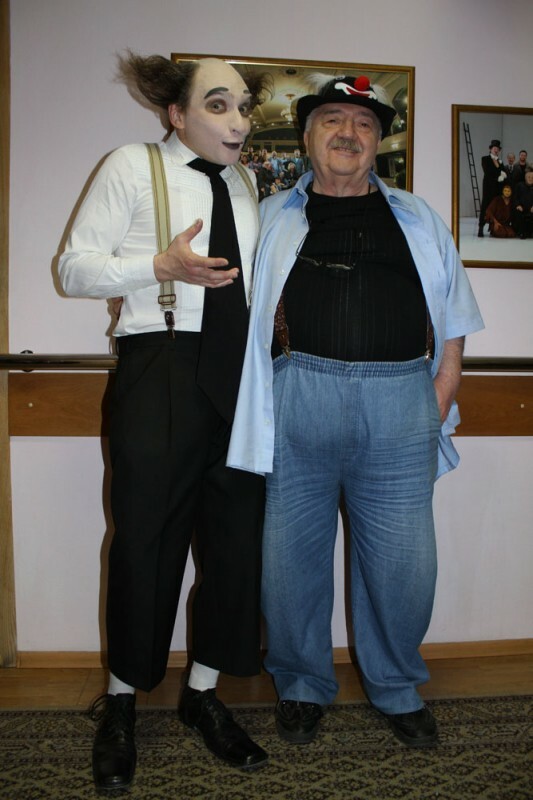 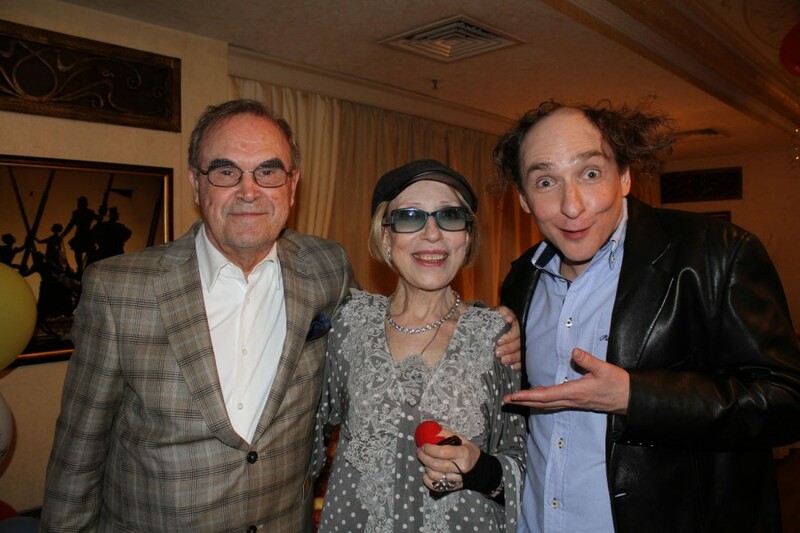 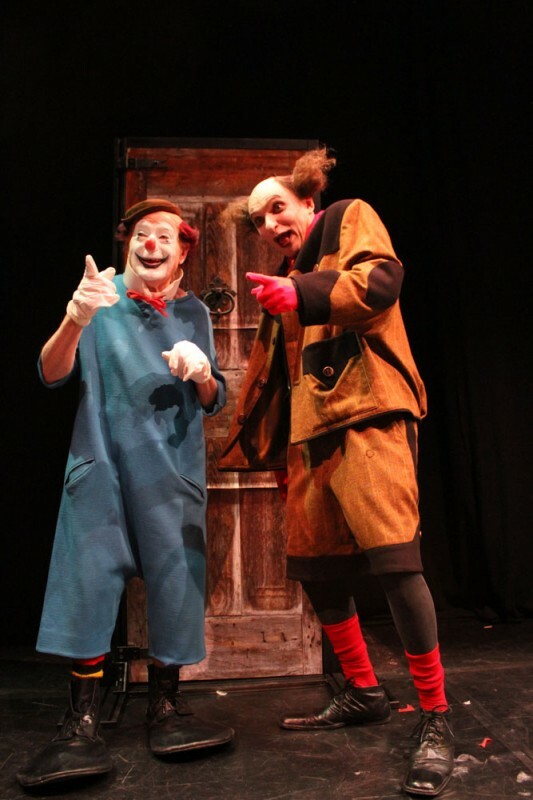 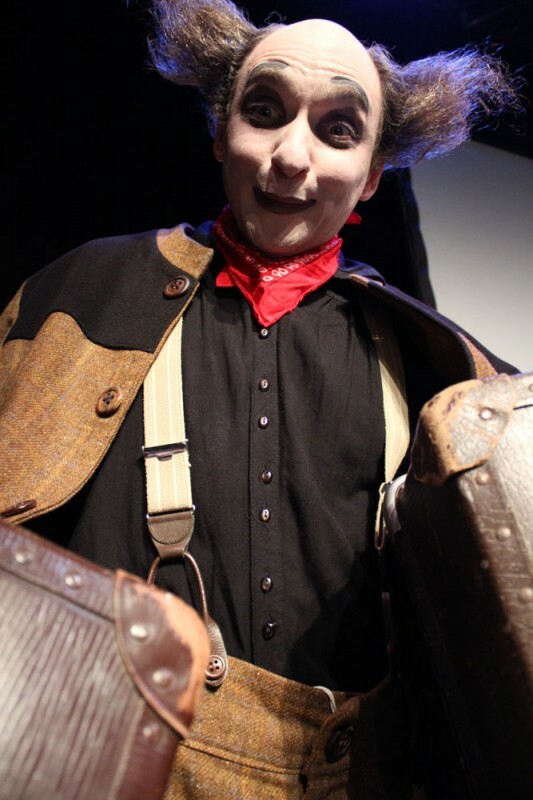 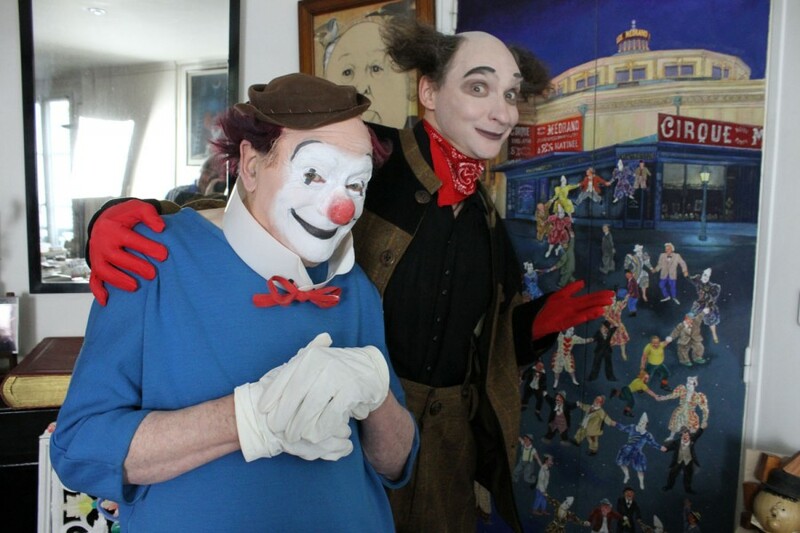 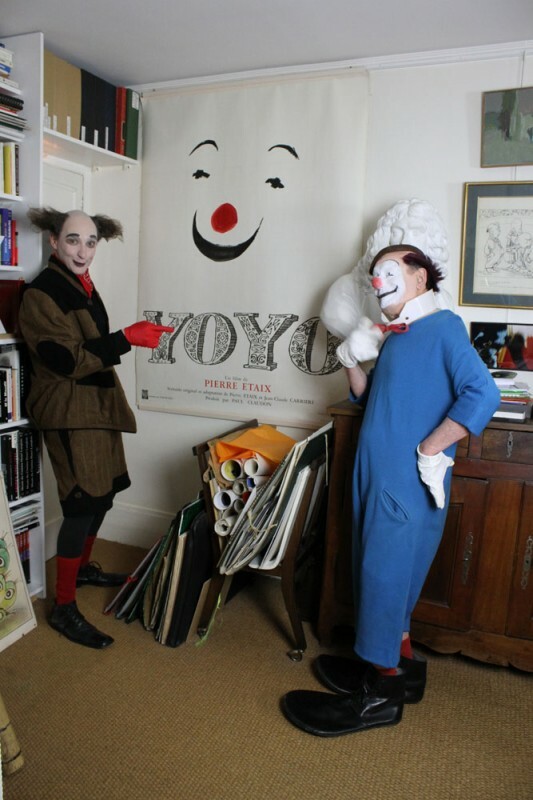 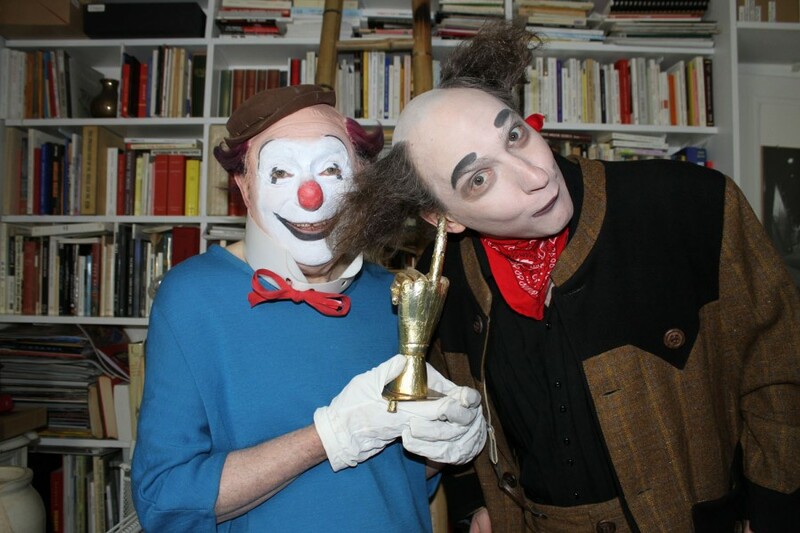 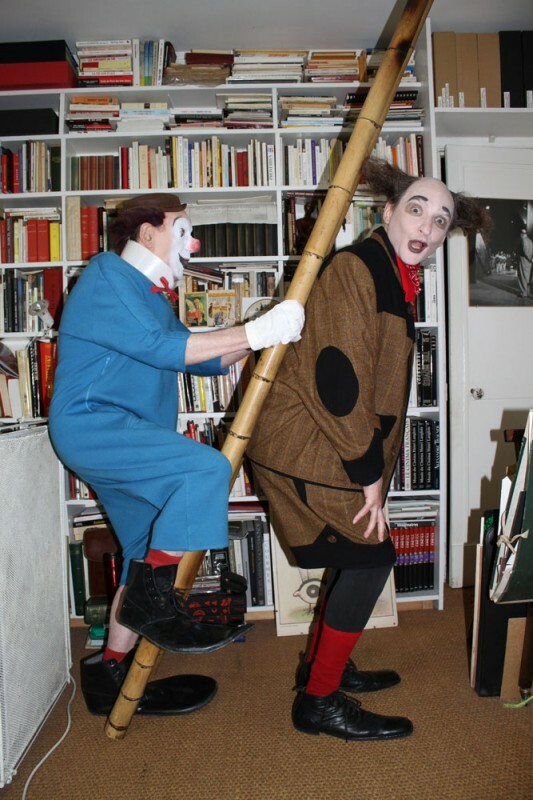 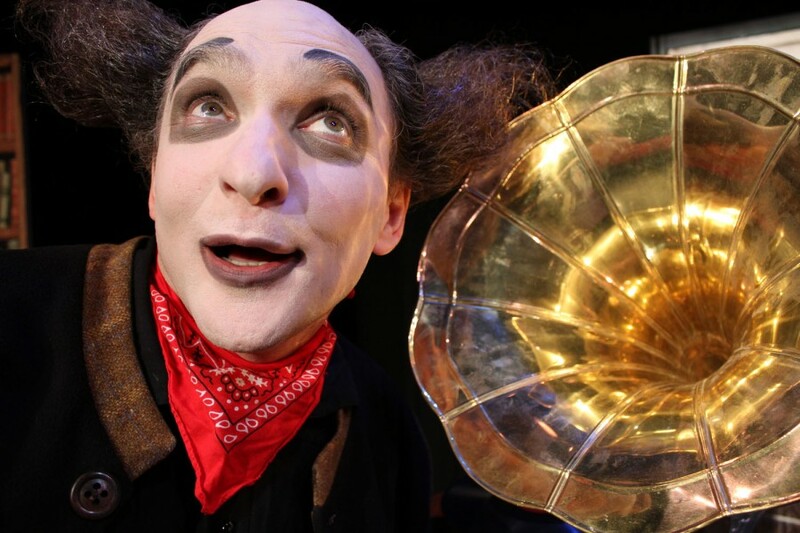 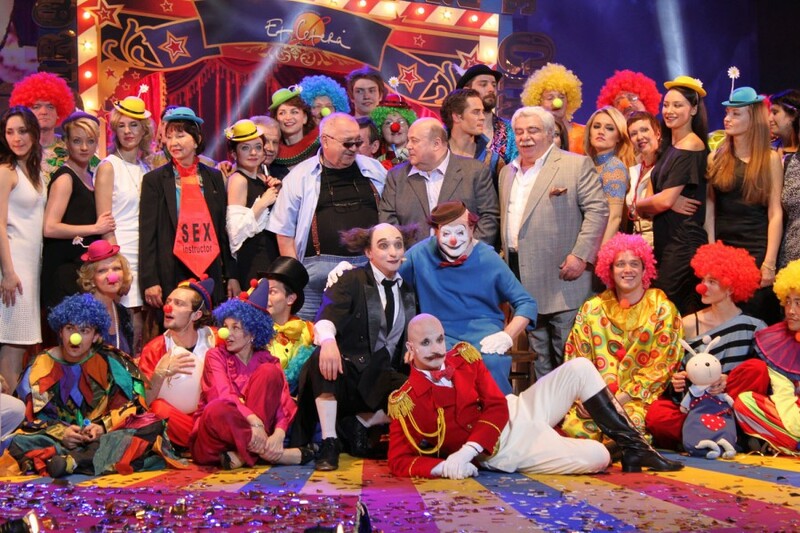 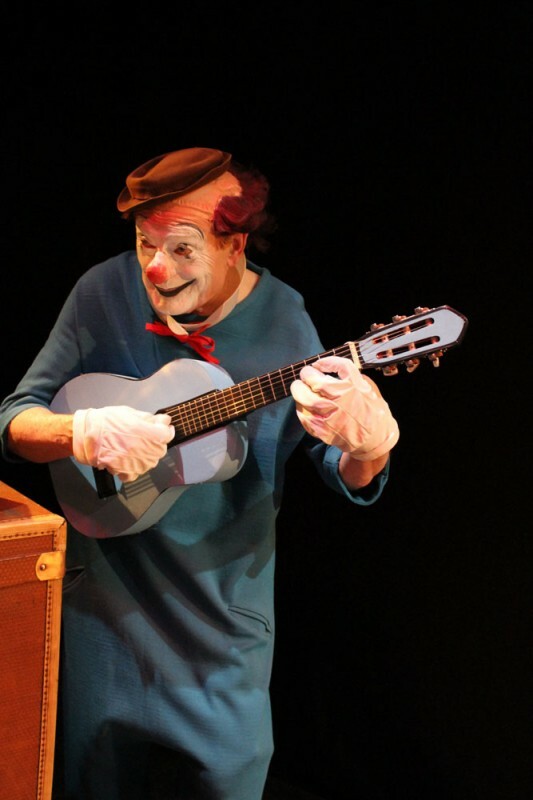 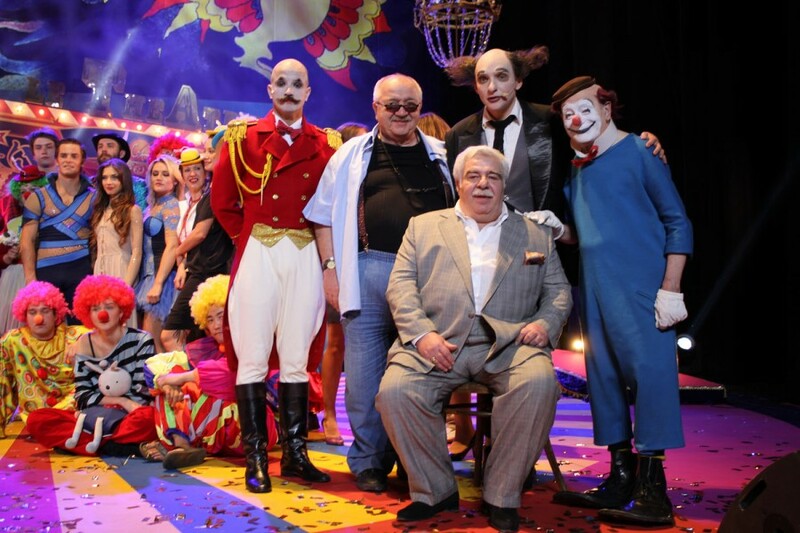 The “Kings of the Clowns”, “Housch-ma-Housch”, “Peter Shub”, “David Shiner”, “René Bazinet” and “Oleg Popov”, will be featured as a special attraction in a program entitled “Lachen machen”. 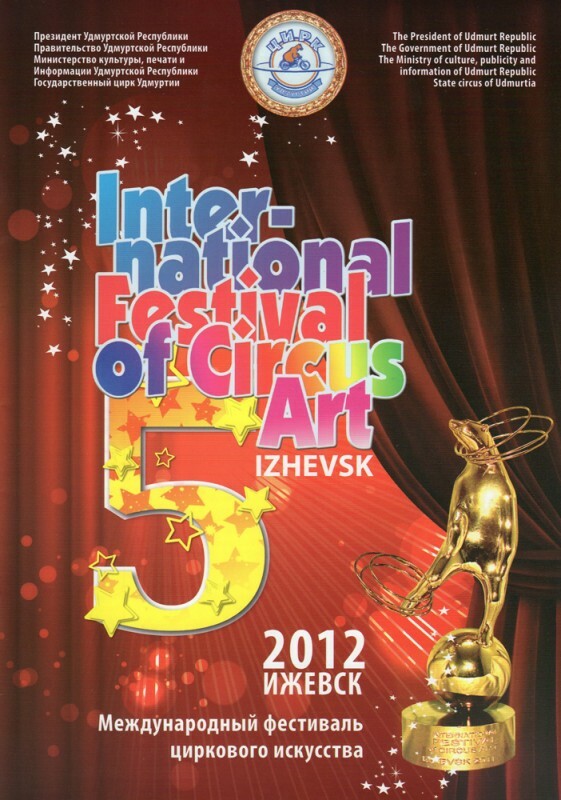 From March 8 until 11, 2012 the “5th International Circus Festival” takes place at the “State Circus of Udmurtia” in Izhevsk. 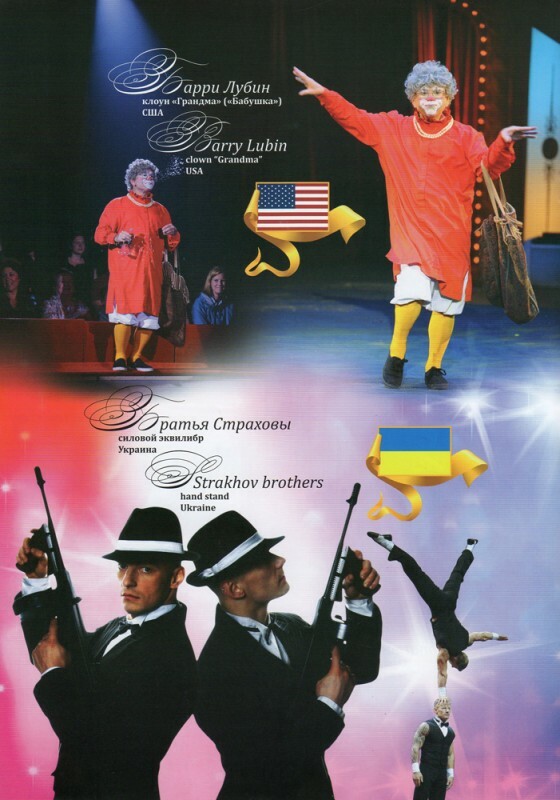 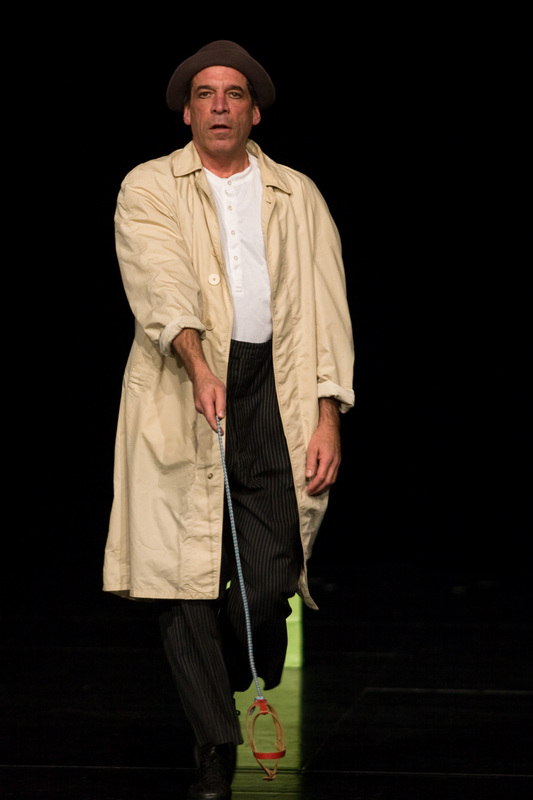 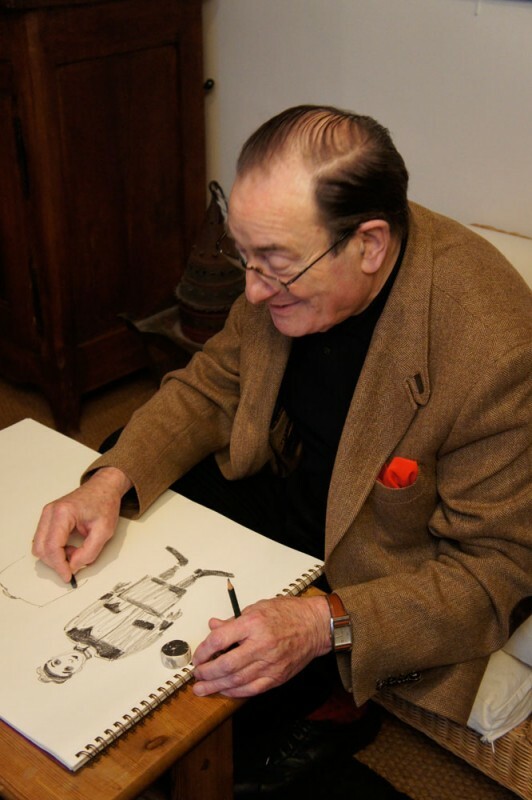 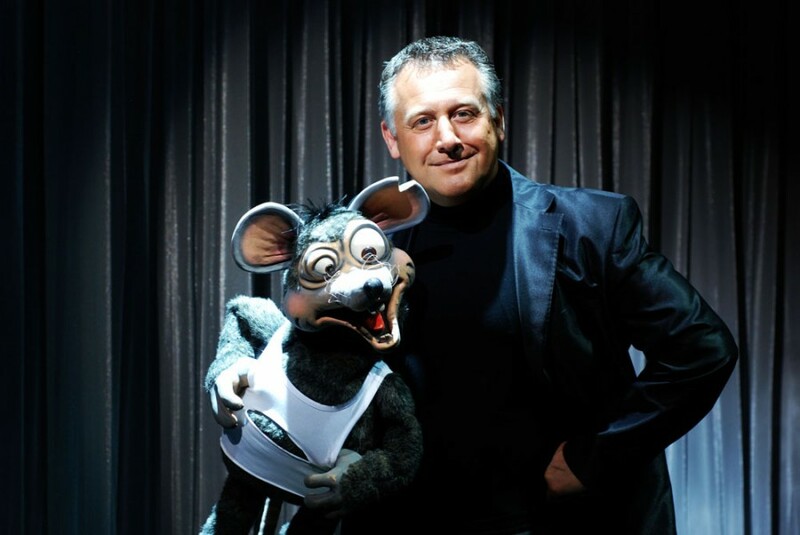 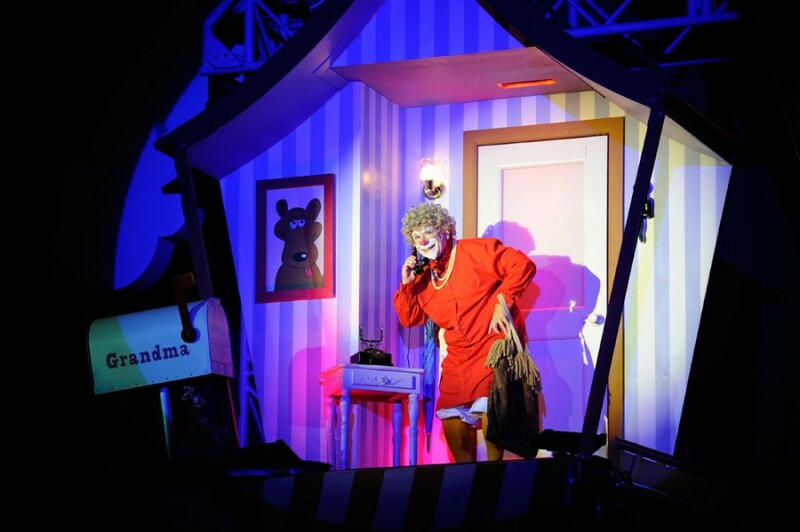 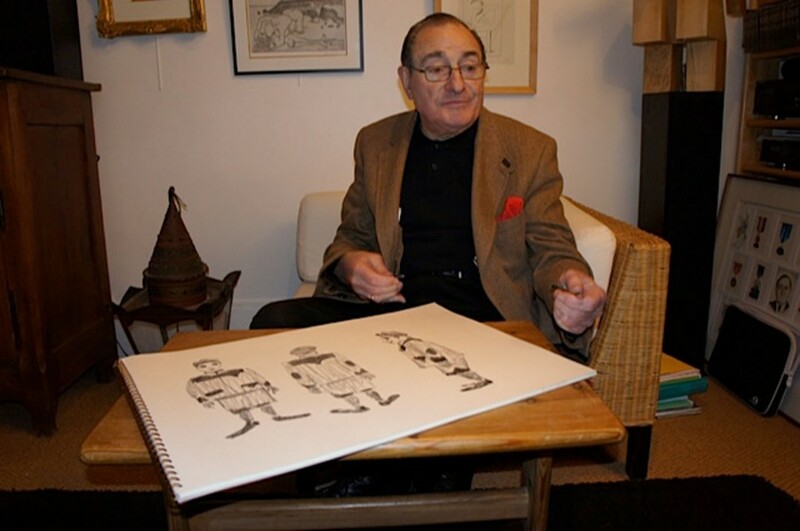 “Housch-ma-Housch Production GmbH” represented numerous artists, such as “Barry Mark Lubin” aka “Grandma”, “Giuseppe Nicolodi” and the “Duo MainTenanT”, “Ivan Zubkevych”, “Dou Strakhov” and “Trio Koblikov”.